Because of the intensity of South Africa’s debt crisis, the government estimates that 16 million debts could be written off. However, having debt written off doesn’t necessarily translate to cash in your pocket. If you’re still struggling with bumps in the road, instant cash loans can help to get you to your next payday or a major cash infusion. Here are five ways that short-term loans can help you. Instant cash loans are meant for emergencies. One of these loans is meant for short-term financial coverage when things in life get financially challenging and you need to be bailed out. When you apply for one of these loans, you need to understand their basic terms. While every financial institution will have different terms for how they should get repaid, there are a few standards. Instant cash is usually meant to be repaid within a short period of time. Standard terms limit these loans to 30 or 45 days. In many cases, they’re linked to your own pay schedule and are meant to be repaid in your next 30-day pay cycle. 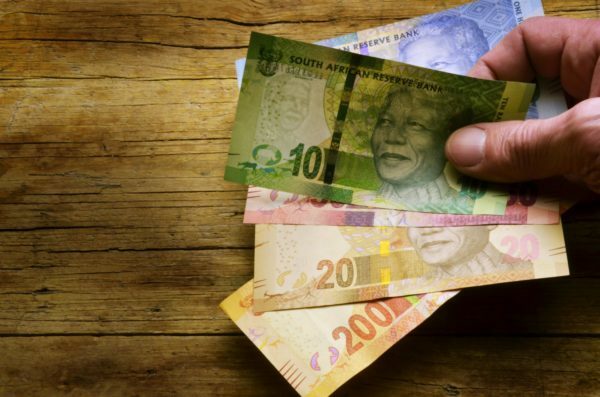 When you urgently need less than R10,000, these loans can come in handy. Each loan servicing company will provide a different set of rates for how much you’re allowed to take out. If you don’t have a strong credit history or don’t have one at all, you might not be able to take out very much. These loans aren’t meant for starting a business, buying a car, or paying your mortgage. They’re meant for emergencies to secure various life needs or to maintain your lifestyle if there’s a hiccup in your employment. People take these loans out when they encounter a medical emergency or are experiencing unexpected car trouble. If there’s a problem with their home’s HVAC system that needs to be fixed before the next payday, these loans come in handy. Don’t take out one of these loans just to pay for some designer clothes or anything less than a necessity. Consider that the rates for these loans are high enough to merit an emergency before you get one. If you’re in a situation where your last resort is to loan money from a financial institution, that’s when you should get an instant cash loan. The amount of money you’re allowed to take out will vary based on your ability to pay it back. If you only need this money for a short period of time, it’s a better option than overdrafting your bank account. When you apply for one of these loans, there are some pretty thorough requirements that require you to provide various forms of verification. This will ensure that lenders know who you are, how much you can afford to pay back, and how to reach you if you don’t pay back. This also gives them the power to run a clear audit on you. Lenders will only grant a loan to someone who they know can pay it back. They make a calculation based on your assets and your income. This number will help them figure out how much you could afford to accept from them and still pay back on time. If you have a history of paying people back on time, you’ll be able to get a considerable amount. This market is currently booming, so there are lots of people who qualify for loans. However, they might not all qualify for the amounts they ask for. The short-term lending industry is a complicated beast. If you don’t know about where the industry has been and where it’s going, it could seem like a money pit or shark infested territory. In some countries, these loans have driven people further into debt. When the market isn’t regulated to protect people struggling with their funds, it can cause them to make bad decisions. However, in South Africa, the industry is healthy. People who are strapped for cash when they need it can get money to help them through tough times. Rather than losing a coveted placement at a great school or get evicted from a rent lapse, they can ensure that nothing drastic happens when they’re short on money. While some people struggle to pay these loans back, the times that they’re not paid back are rare. It’s more common for people to pay these loans back on time than with traditional loans, since the rates are high and the stakes can be intimidating. Short term loans get a bad reputation, but when disasters strike, they have proven to come in handy. During a natural disaster, banks could be wiped out and people could be short on cash. In the absence of proper infrastructure, shops might only accept cash. What do you do if you don’t have any cash in the middle of a natural disaster? One of the things you can do is to take out a short-term loan until banks open again. While you might end up paying a percentage more than you would if you had access to your own money, sometimes you have no other options. These loans have been a source of instant money that has helped people to buy food, water, and other necessities after a disaster. If you’re in the middle of an emergency, just a little bit of cash could change how the whole thing feels. When you have enough money to get through a stressful situation, you can focus on the solutions. Instant cash loans offer that kind of opportunity. When you’re trying to decide which type of loan is right for you, check out our guide for some help.